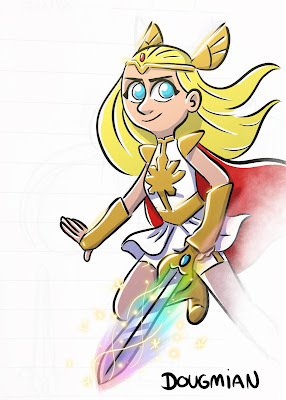 I've been inspired by many artists creating their own versions of the new design of She-Ra. Here is one of the sketches I did on paper then cleaned up in Photoshop. I can't wait to see more of this show! To see the other sketches you can visit my tumblr posts here and here!